A PhD is an internationally-recognised research qualification. You can study for your PhD on-campus or by distance learning. Studying for your PhD with the School of Performance and Cultural Industries will allow you to become an expert in a specialist area and gain high-quality research training, which will equip you to undertake further research projects, in addition to pursuing specialist career paths. As a postgraduate researcher, you'll conduct original research work under the guidance of your dedicated supervisors. An initial priority is refining a research plan and establishing a feasible timescale for your project. 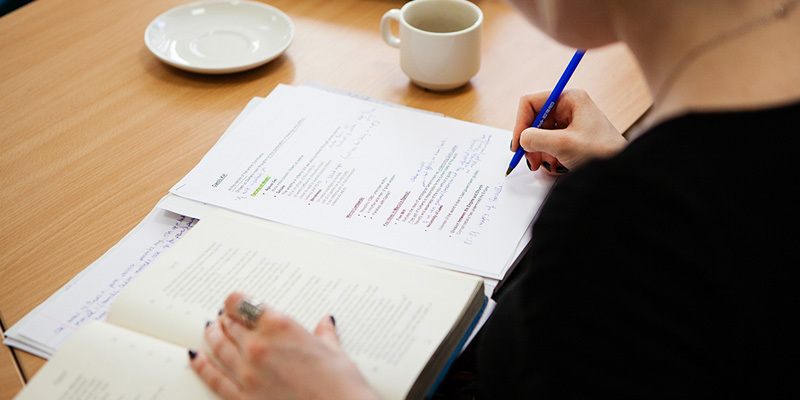 During the early part of your PhD, you'll undertake a module in research methods to support your research activities. Depending on your project, training in additional research skills will be available to you and your supervisors will help to identify any training needs. During your first year you'll work on a plan for your PhD project as well as a bibliography and will also develop a detailed research proposal with a literature review. This work will be submitted to a panel of examiners who will assess it and provide you with feedback and advice on the progress of your research to help ensure you are fully prepared for the next stage of your doctoral degree. You will then progress on to developing your thesis of approximately 100,000 words. You will be assessed on your thesis as well as a viva, where you present and discuss the rationale, methods and findings of your original study with an examining panel. A PhD can be taken full-time (three years standard, four years maximum) or part-time (five years standard, seven years maximum). Research opportunities are hosted within the School's research areas, each of which has a successful and thriving research community. Explore our research to discover more about our academic staff where your research interests may fit. Your distance-learning PhD means you can study from anywhere - although you’ll be required to attend relevant training sessions and progression assessment points in Leeds. This programme of study is for students who wish to pursue their chosen area of postgraduate research through practice. Practice-led students should demonstrate a distinctive practice, an originality of thinking, and an ability to place the practice in an appropriate creative/cultural context. You'll be assigned appropriate supervisors, under whose guidance the practice-led programme of research will be advanced. Some proven expertise in a chosen area of research will be a prerequisite for admission to the degree programme. For assessment, you'll produce a body of work (such as a performance or work-in-progress ) demonstrating an original contribution to knowledge and scholarship. Overall, a practice-led PhD consists of a substantial body of creative practice produced by the candidate in pursuit of the degree, and a written submission, which provides an exploration of the research question(s), displays critical awareness and indicates the manner in which the research is embodied in the practice. The written submission for Practice-led PhD should be between 15,000 and 50,000 words. You should hold a good honours degree (upper second class or first class) in a related discipline, and hold, or expect to obtain, a Masters degree in a related subject. If English is not your first language, you'll also need an English language qualification, for example IELTS 6.5 with at least 6.0 in all component. If you fail to meet these requirements you may still be offered a place dependent on completion of a pre-sessional English language course offered by the University’s Language Centre. The distance-learning PhD requires IELTS score of 7.0 overall, no less than 6.5 in every component. Find out more about PhD fees.